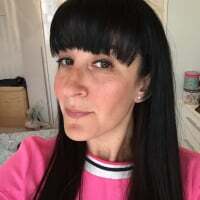 For those of you who don't know me my name is Simone and i have a ten month old daughter called jessica.Just wanted to know if there are any other mums who live near Newbury berkshire. I would love to hear from any of you as i don't know many people around here and the friends i have got all there children are older! Maybe share advice about places to go and things to do! We are near Basingstoke. About 20 odd miles from Newbury. OOOH, not far from me, i used to work in chineham and my sister lives in a village near there. Is there much to do around there for little ones! I have taken Jessica places not far from here, Beale park, finkley down farm and buckleburry farm park, would not recommend the last one. Hi Simone Thanks for your reply I have heard of Beale park but not the others. Theres Leos in Hook which is a soft play area and in our village is little angels which we go to once a week. And for grown ups of course theres Festival Place, great for shopping and coffees. Theres the Lookout in Braknell which is an indoor discovery cove and an outdoor adventure playground.A couple of country parks too. Put it this way we are never stuck for places to go in the holidays. Chineham is a lovely area.